BUT I CAN'T NOT SCORE! 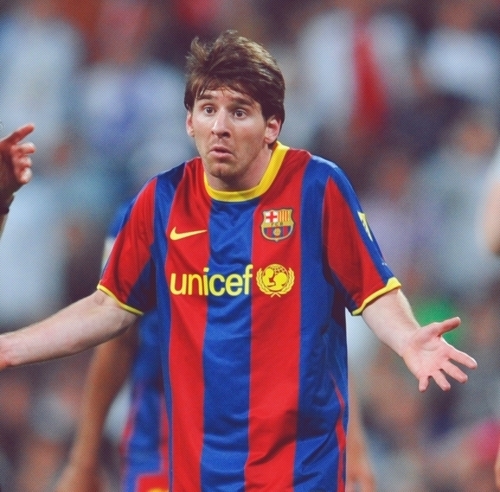 Red card for you MESSI! So,you have collected 5 yellow cards. Time for a one match ban. WHEN THERE IS A CROSSBAR IN THE WAY? i didnt do anything !